While my tried and true green bean recipe serves me quite well, I wanted to try a new flavor combination. 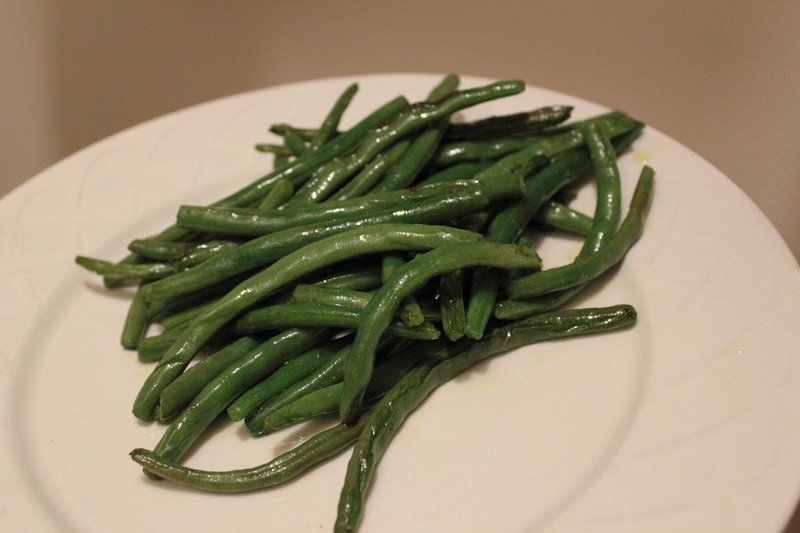 These gingered green beans have a little bit of a kick, but I didn’t find them too spicy. I wasn’t overly impressed by the flavor, but it is difficult to replace my favorite after all. This recipe is no more complicated than the first. Blanch the green beans, then cook garlic until fragrant in a skillet with olive oil. Next, add ginger and red pepper flakes, then beans and cook until beans are tender. Try it, I’d be interested to know what you think! 1. Blanch green beans in boiling water for around 4 minutes,or until tender. 2. Heat olive oil in large skillet. Thinly slice garlic and sauté until fragrant, about 30 seconds. 3. Add ginger and red pepper, then beans. Cook for 2-3 minutes.